An individual with diabetes should wear or carry I.D. information (such as an alert bracelet) that emergency medical staff can find. 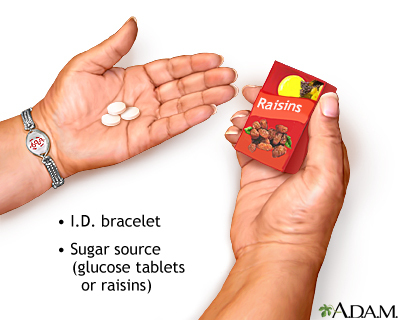 A sugar source, such as glucose tablets or raisins should be carried in case blood sugar levels become too low.